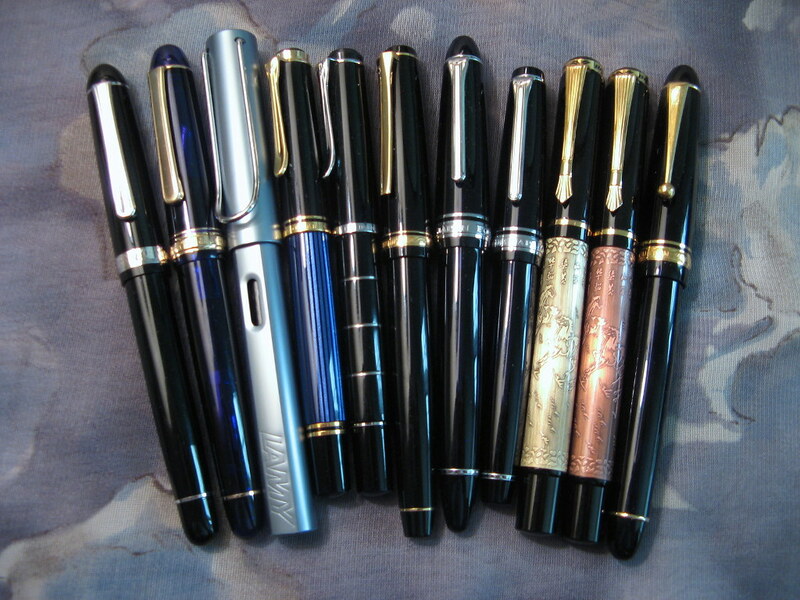 Fountain pen blog: A look at the Faber-Castell Loom fountain pen. The writing instruments on my desk needed a little exercise this morning. Three inks are waiting for slots in my rotation: Pilot Blue-Black, Pelikan Violet and Diamine Vermillion. Pens to be determined. 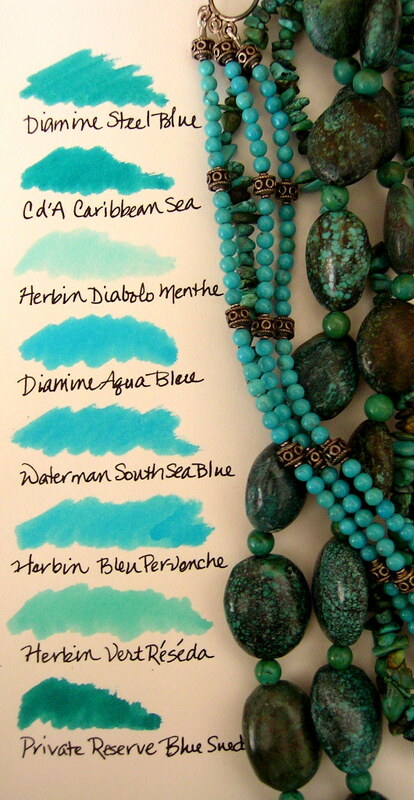 A turquoise or aqua ink will go in the Century Nice with its next fill. 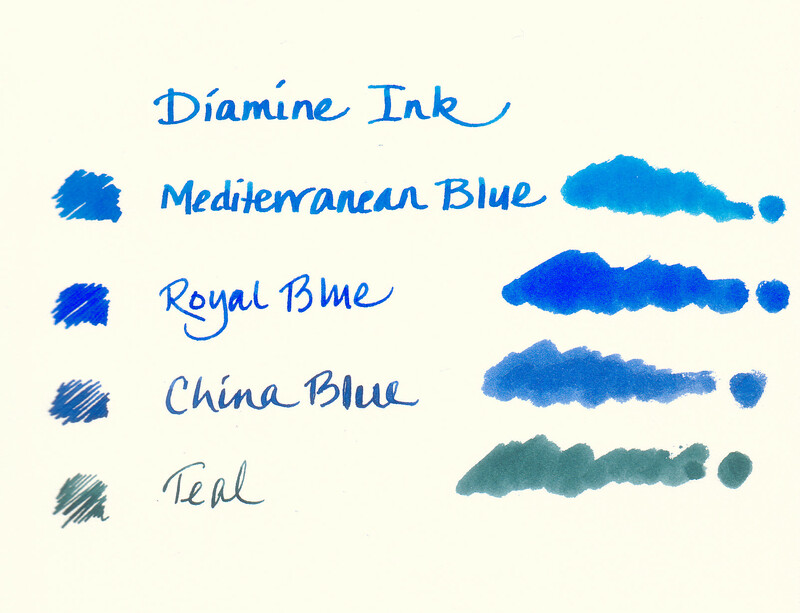 Diamine Marine has called dibs on a second Pilot Pocket Brush Pen though the Eco would show Marine to better advantage than the black barrel of the Pilot. It will all get sorted soon. Platinum #3776 and #3776 Century – These pens rank at the top of my list. The build is slightly lighter than the Sailor pens I own, but that is good for my hand. No flow issues and the nibs are excellent. Someday I hope to get a medium for a real workhorse. It may not replace the #3776 music nib as my most used pen, but I would love to give it a shot at the top slot. 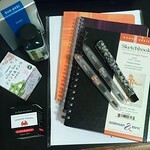 Lamy Safari and AL-Star – An entry-level pen that is one of my most durable and reliable writers. The extra-fine has been a staple here for years. I haven’t tried a fine or medium, but the broad might be a tad too wide and free-flowing for most people. The 1.1 mm can have an erratic flow, but the nibs are usually smooth. The nibs run a bit wider than most and they are quite stiff, but they are also easy to swap. Nibs come in stainless steel and black. The latter looks particularly sharp on a model with a black clip. Put one on a charcoal Safari to make a stealth model. Two of my Lamys have been so modified. The build is very good at the price which won’t matter if the oddly shaped section doesn’t fit your grip. My daughter and I found it to be comfortable after the initial sessions. The control afforded by the section shape is excellent and prevents slipping. That is a decided plus for me. Pelikan M400 and M215 – These are very different pens, but equally well built. Both wrote well from the beginning. The M215 feels more sturdy, but it is a metal pen. I am extra careful with piston-fillers and run Noodler’s Eel ink through them from time to time to lubricate the plungers. The M400 was adjusted for extra flow several years ago and is now a terrific pen for long sessions. Pilot Namiki Falcon – I have three of the resin model and that says a lot. The build is good and the section very comfortable for me. The nibs can be a tad scratchy, but a little use fixed that in one of mine. The other two were smooth from first use. The design is understated and puts the focus on what the nib can do. No flow issues with the supplied converter so the nib and feed are well matched. Sailor 1911 and Sapporo – These pens have outstanding build quality. No flow issues and the converters are very well-suited to the nibs and feeds. My Sapporo is a fine nib and a nail. The 1911 is an extra-fine that is a bit soft. They are very different nibs, but both are very smooth. Baoer Eight Horses – Not everyone has had the good luck I have had with a Baoer. However, I do have two that write remarkably well. This is a heavy pen, but well balanced. The build quality is excellent for the price. The converter even has a plastic ball to keep the ink flowing. 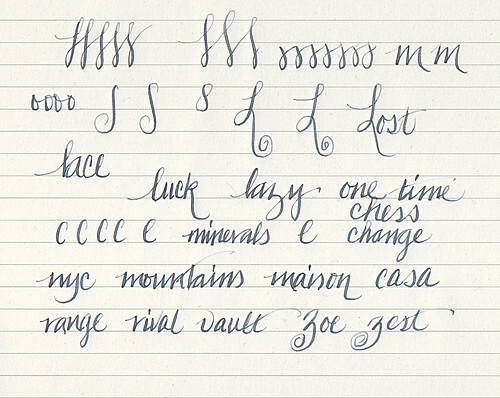 I am not as thrilled with the Jinhao 750 which is made by the same company, but one of these days I’ll purchase a silver Eight Horses with a B nib if I can find one. That will make a full set. Pilot Custom 742 – This one is a bit harder to recommend given my 742FA can be flow challenged. However, the build is excellent and the size perfect for me. I think it would be a terrific pen sporting a different nib. The FA is very smooth and does flex, but no ink so far has conquered the feed. There are five on my desk ready to take up the challenge so more testing is ahead. When I advance ink into the feed, it writes well enough with virtually no pressure. The slit is always inky, but this pen arrived used if not abused. Giving it the benefit of the doubt, I think it has an imperfect nib on an otherwise very nice pen. The price range for these pens purchased new is $6 to over $300. Message boards are the best place to buy used, but eBay can be good for inexpensive pens like Lamy and Baoer depending on your risk tolerance level. If you want perfection, buy from a seller who tests the nib and who has a good reputation for standing by his wares. As careful as I am, one in four pens arrives in need of assistance. That really isn’t surprising considering how a tiny mistake in the nib can make a pen write poorly. Basically, don’t get your knickers in a twist if you get a stinker. It happens to all of us. Get help from the seller immediately. Most will make it right one way or another. So that’s my list. Is there a pen you would recommend without reservation? 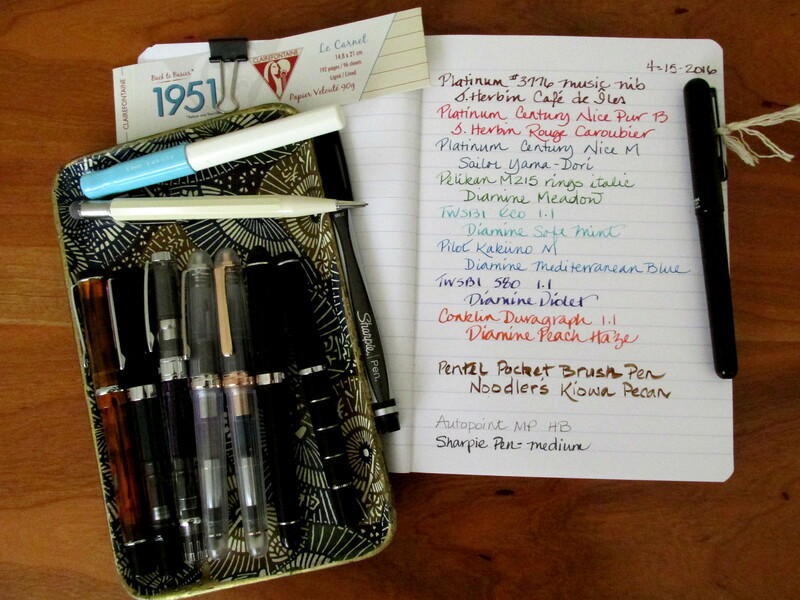 When it comes to writing in my journal and especially when writing to a friend, bold or stub nibs are my preference. But sometimes I just gotta flex and the Platinum Century Fine Flex is coming along nicely in that role. With Iroshizuku fuyu-syogun on Apica 6A10, the hairlines are fine and the down-strokes are wide in contrast. It still takes a bit more force than I would like but there is decided improvement with each use. It may not be vintage flex, but it’s plenty of fun regardless.